A unique expression of Bulgari perfumes, Bulgari Goldea Eau de Parfum is a sensual and oriental fragrance that pays tribute to the olfactory richness and the infinite nuances of a palette of stylised white musks. A profusion of luscious sweet sparkles mingled with the intoxicating scent of Ylang-Ylang and Orange Blossom and, finally, a caressing addictive base note, radiating splendour. 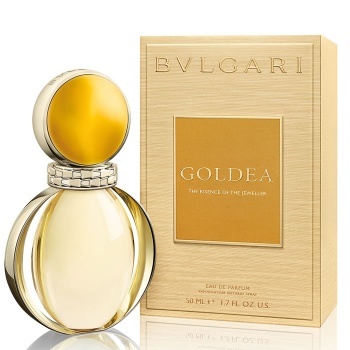 Bulgari Goldea Eau de Parfum is a tribute to the golden goddess of beauty and sun. Gold is the divine interpretation of the splendour of the sun on earth.